Take a look at our Easter package breaks in Windermere, after all the Bank Holiday will soon be upon us! At the Windermere Tranquil Retreat, we have 6 spa suites available, complete with hot tubs and other luxuries. When is the Easter Bank Holiday? As we come towards the end of March, you’d be forgiven for being unsure when as to when the Easter break falls. Both Good Friday on the 19th April and Easter Monday on the 22nd April are bank holidays, as such a popular weekend to escape to the country. Spring breaks in the Lake District are a time to explore the beautiful countryside before the summer crowds. What’s more, it’s also when flowers start to come into blossom and the various tourist attractions have started their full opening hours. 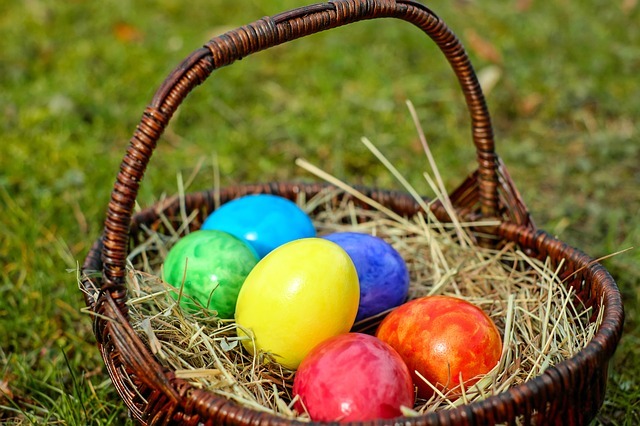 As such you can expect a whole host of thing to do in and around the Lakes during your Easter Package Breaks in Windermere. There are of course the regular attractions, such as the Windermere Lake Cruises, the World of Beatrix Potter and the Lakes Aquarium. However, Easter brings with it so much more. If you fancy going further afield then accommodation near Windermere Train Station gives you even more choices. Those of you visiting friends or family with children, keep an eye out for further details of this years Cadbury Easter Egg Hunt. Although, that said Easter in the Lake District isn’t just about the children and the Lakes, in general, come with a variety of special events. There are often specially organised walks across the fells along with the regular weekly farmers’ markets. So why not keep an eye on our blog for any further details. However, if you want to ensure you don’t miss out, it’s best to book your package breaks in Windermere sooner rather than later. After all, even if you just fancy a massage and a soak in your private hot tub, it’s not a bad use of a bank holiday weekend! If you fancy getting away from it all then book yourself and a partner into the Windermere Tranquil Retreat. Package breaks in Windermere are special any time of year, but the Easter Bank Holiday is the ideal time to enjoy a Spring break. In conjunction with the main hotel, Aphrodite’s Lodge, there are several special offers and package breaks in Windermere available. As well as booking into a spa hotel for the weekend, you can even design your own pamper package. Giving you the chance to make the most of the Windermere beauty treatment available at the hotel pool and spa.